The Club by Natuzzi Editions is without doubt one of the most stylish sofas and corner groups in the world. Similar in style to the Natuzzi Brio from the Italia range, the Club is available as three seater, two seater, or armchair. 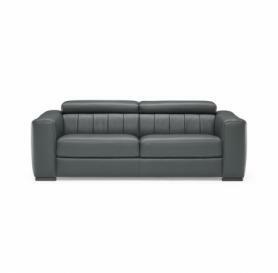 It can also be configured as a sectional/modular corner or sectional four or more seater couch. Conventional fixed design or reclining options are available and as usual for any Natuzzi Editions range sofas a rainbow of colours and vast selection of styles of leather are available and now fabrics too. If selected one of the most amazing features of this couch is the electric recliner mechanism. The headrest rises electrically first then the foot rest appears from the front of the sofa combining together to glide completely forward until the user reaches their optimum point of comfortable sitting. 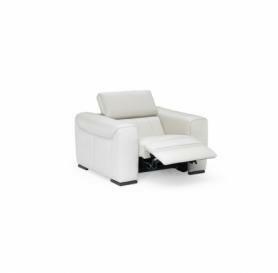 Reclining whisper quiet electric recliner actions are activated from body heat sensitive studs located down the seat edge discreetly positioned. Another striking feature of this sofa is the beautiful moccasin stitching along the arm front continuing on to the side panel of the sofa. Often selected as a contrast it makes this sofa an absolute work of art. The club has become the most Iconic model in the Natuzzi Editions range. Click the PDF icon on the right to download the datasheet for the Natuzzi Editions Umberto. 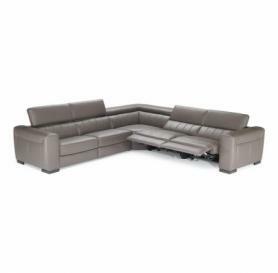 Sofas from the Umberto range can ordered and tailored to your specific requirements. Available in a range of sizes, leathers and fabrics.